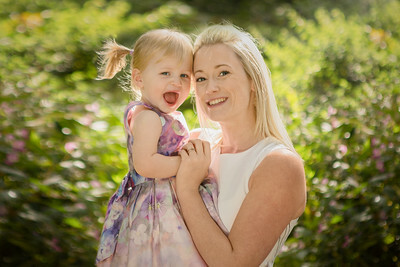 What to wear for your family photography session in and around Tunbridge Wells, Kent. When preparing for your photography session, there are a few simple ideas that you can adopt to help make your final images beautiful and timeless. You're likely to want to display your images around your home for years to come, so the careful thought you put into deciding what to wear for your shoot will pay off for the many happy years your photographs are displayed around your home. Don't leave your clothing choices to the last minute; think through what you would like everyone to wear and plan in advance. 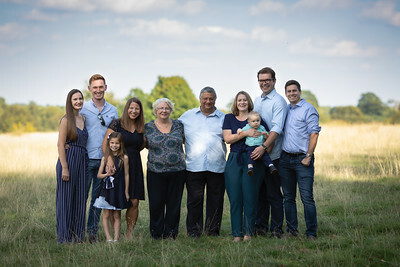 It's a great idea to have a 'theme' that your family can adopt for your shoot. This could be smart, formal, casual or smart casual. Then within this theme, choose a common colour to tie everyone together visually. Dark colours are slimming and a great choice. Big, busy patterns draw attention to themselves and away from you, however, stripes, spots or florals can look lovely. Sports shirts or anything with a logo are best left at home on the day of your shoot. The majority of my outdoor location sessions are in parks and gardens near Tunbridge Wells and around Kent and East Sussex. During spring and summer, bright, bold colours (except green) look great, as well as gentle patterns and subtle textures. In the Autumn and Winter, richer colours will help to coordinate the seasons natural colours; so yellows, oranges and browns/beiges look great teamed with chunky textures. It can help to find one key piece of clothing and dress the rest of the family around that. So if a child had a favourite clothing item, or you have a particular outfit you love, use this as your starting point and work around that. Arguably, the most important thing to remember is to wear what is comfortable and that you feel at ease in. Little girls look lovely in a dress and boys scrub up nicely in a shirt - but if they aren't comfortable on the day of your shoot they are unlikely to enjoy the experience and we want your pictures to reflect a happy time! Pop over to my Pinterest season boards for some more inspiration on how to dress for your family photography session.